Christmas comes to Mae-la camp. It was Christmas at Mae-la camp! Last year we held a big party for 2000 children but this year we were not allowed to have so many people in one place at the camp, so from December 8 onward, before the Preschools broke up for the holidays the team from Zone A 3 preschool visited every camp preschool (heavily disguised as Santa and the elves) visited all 23 camp preschools and distributed a present and a treat and some soy milk to every child. 2250 refugee children had a joyful Christmas thanks to the kindness of Australian Mercy’s donors. 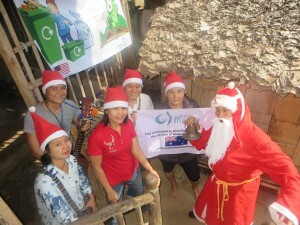 There was Carol singing, presents were handed out by Karen Santa, and food. 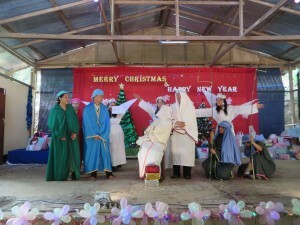 In the midst of the joy caused by the visit the Christmas story was told and a good time was had by all! 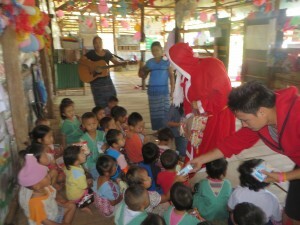 On December 19, all the preschool teachers were invited to a special party for them. 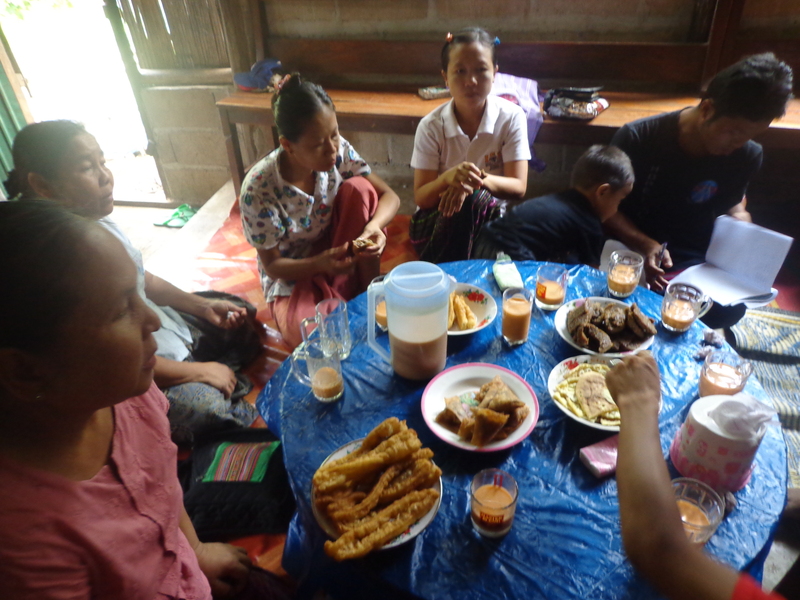 Many of these teachers receive little financial reward for their dedicated work and have families of their own to feed and care for. All the teachers received an LLIN mosquito net, a clock, some washing powder, soup and shampoo and a yard of cloth in a bag for Christmas. 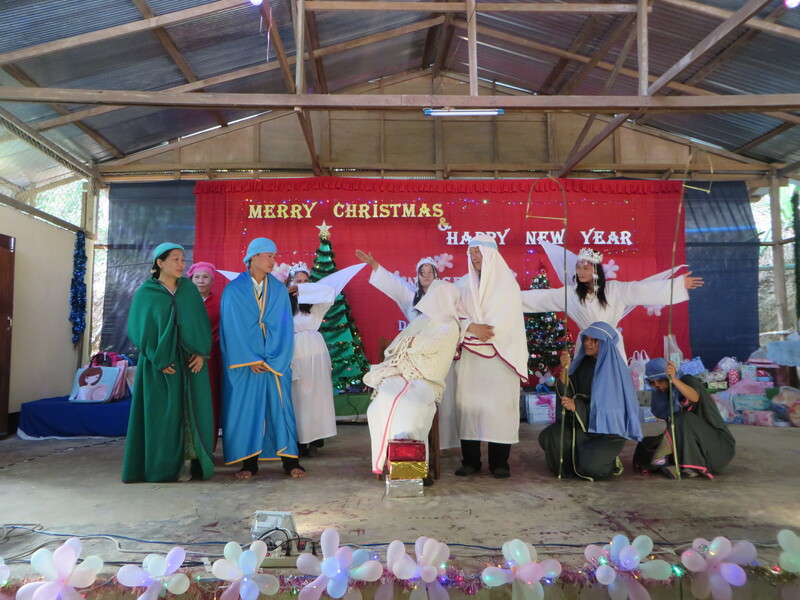 After the formalities there was dancing, funny dramas and the singing of Christmas Carols. 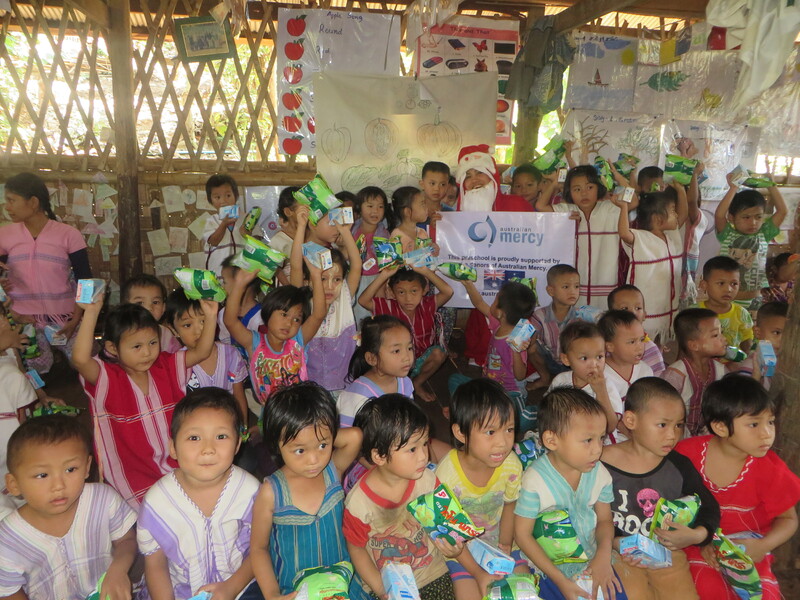 We also provided funds for the children in Moo Paw’s emergency accommodation and the Middle school to celebrate Christmas as well. A picture of the children in Moo Paw’s care eating Christmas dinner can be seen as the last picture. With the money we gave her Moo Paw bought fried dough sticks and pastries as a special Christmas treat and each child received a small present. 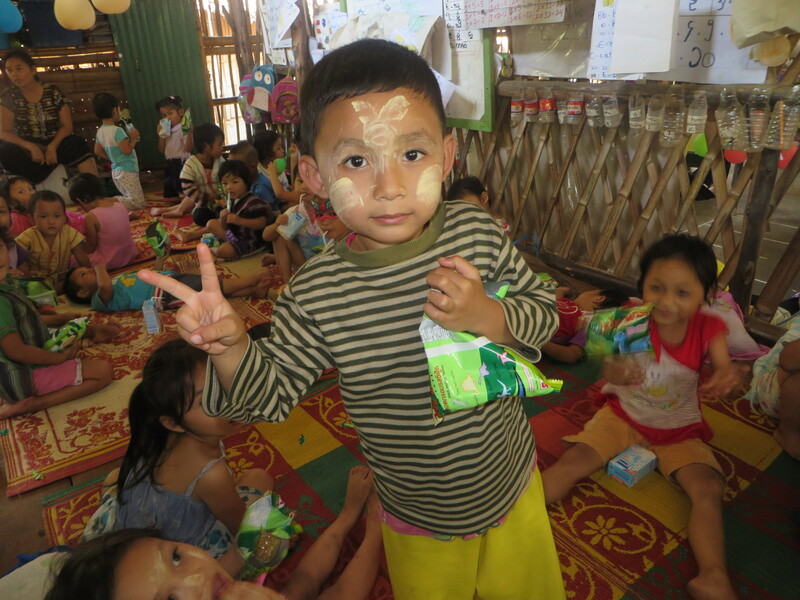 We want to thank our donors for their generous support of this appeal that has bought so much joy to the hearts of many children who live in Mae-la camp. The children and Australian Mercy truly appreciate your kindness. 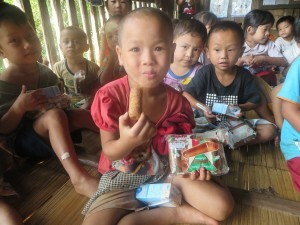 Donations to our continued work at Mae-la camp can be made through our secure site. The current statement by the Australian Mercy Board on appeals and donations can be viewed here.